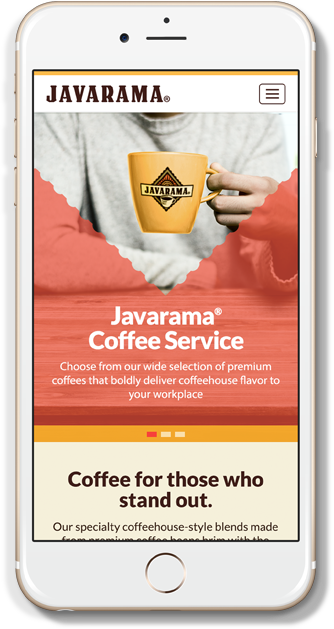 Javarama® has always offered a premium selection of specialty coffees, but getting enthusiastic java drinkers to choose them first was the real bean to grind. To help elevate their online profile with this audience, we quickly identified two key segments to get sales percolating. In the past few years, there has been a general shift from non-premium to premium coffees. 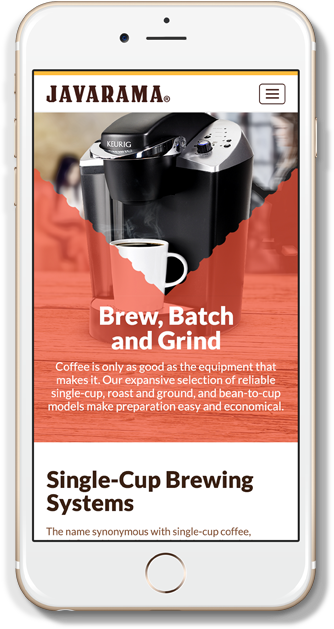 What’s more, the expansion of single-cup varieties and successful ready-to-drink innovations has fueled coffee sales. 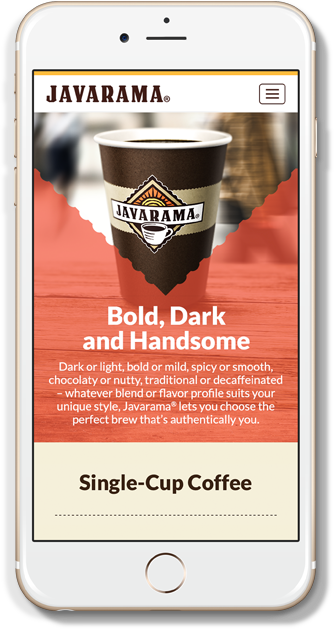 Enter Javarama®, the “coffee for those who stand out” with a variety of specialty coffeehouse-style blends made from premium coffee beans available in traditional grind and single-cup pods across the portfolio. 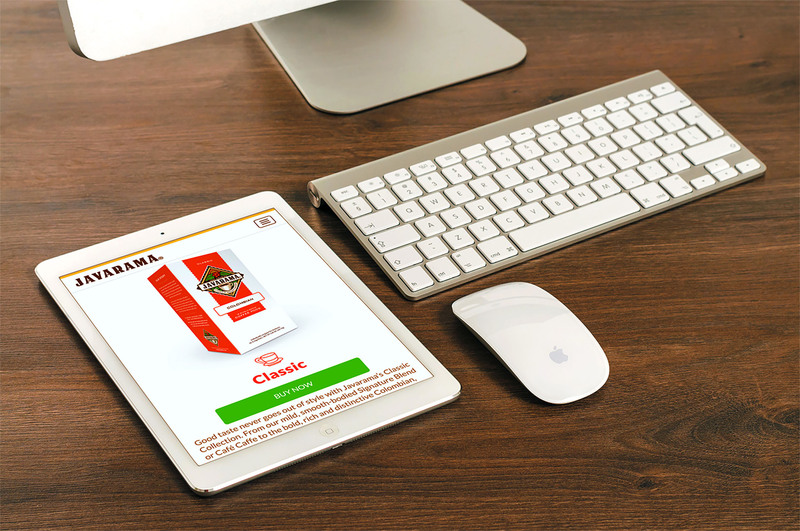 Getting the word out about this bold and exciting brand to the exceptional coffee drinkers they sought to connect with hinged on the success of a brand new site design that not only told the story of Javarama but also simplified the purchase path — especially for consumers in the workplace. Increased demand for specialty coffee has been driven by the desire for afternoon snacks and a shift toward healthier and more upscale beverages. 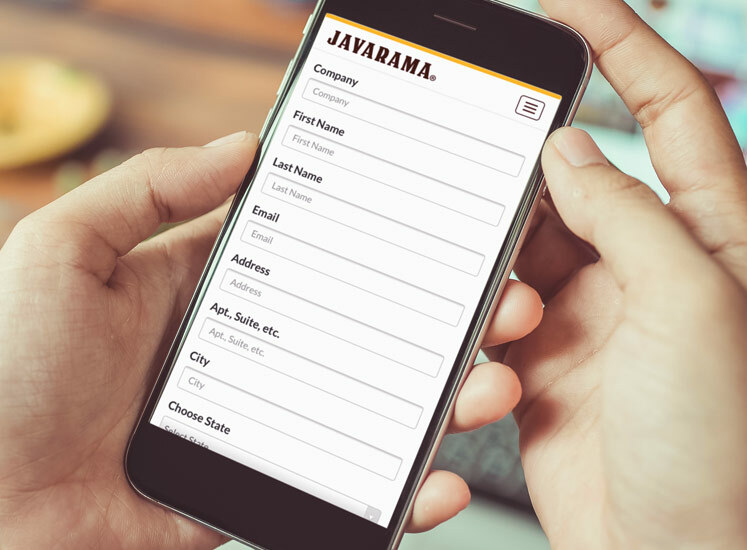 For Javarama, identifying its core users was key to connecting with this growing group of specialty beverage drinkers. In general, we knew the core user was a 25-34 year old, highly educated Millennial, affluent, married, female and living in an expensive home in a big city or small town in the Western U.S. To get even more focused, we narrowed it down to two unique categories that would best connect with the brand: Only The Best and The People Person. 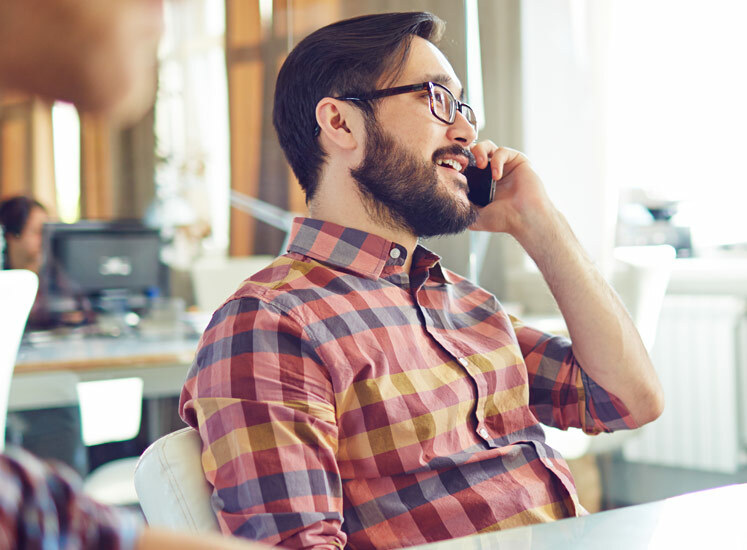 The first segment we identified was focused on product, service and equipment quality and generally found in the professional services segment of the office channel. What’s more, they were most concerned about getting high-quality products, brands and service, and less so on price. The second segment was comprised of customers focused on quality and problem solving, or relationships, and tended to be in private sector segments of the office channel. Because their primary focus was on relationships, finding a coffee service provider who was flexible, could solve their problems and provide live, personal service would be paramount. With this baseline knowledge driving our strategy for connecting with consumers via javarama.com, we mapped out a fully functioning website that hinged on a top-notch user experience that would not only drive interest and brand awareness for Javarama in the workplace but also compel and drive customers to either sign up for coffee delivery service through coffeeservice.com or purchase coffee through directcoffee.com. 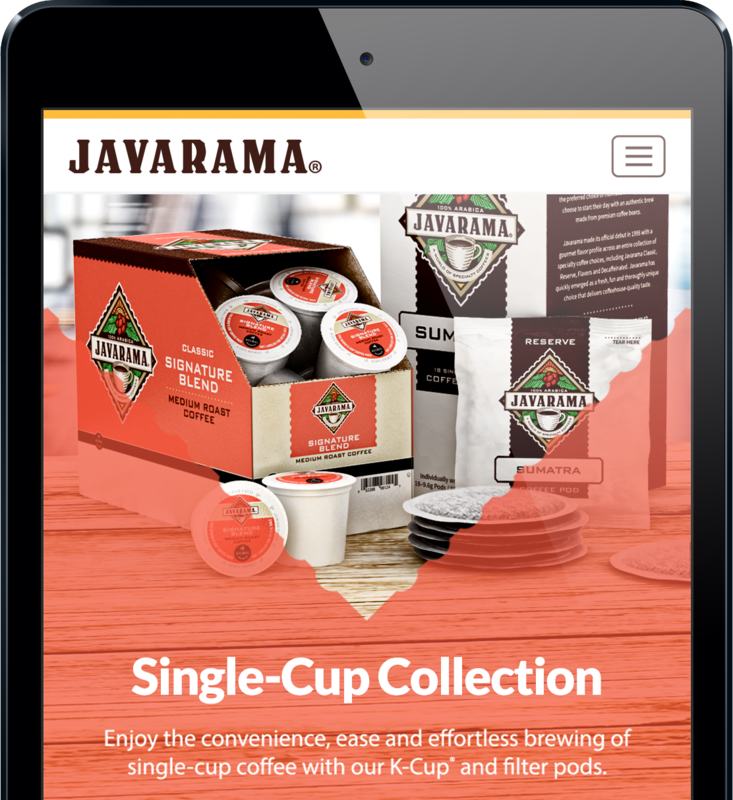 Through the newly launched javarama.com site, we were able to help the brand connect in a more authentic and intimate way with their core users to convey their brand promise – that Javarama could bring them the great taste, flavor variety and spirited sense of fun that they sought from their favorite specialty coffee and provider. More importantly, the key message behind the brand was also fully realized in the online experience as well via a spirited, unique and youthful aesthetic and vibe that mirrored the experience of drinking their coffee. 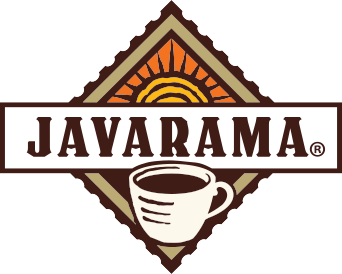 As of Q2 in 2016, the site has seen 316 new users and 2,064 page views with an ever-growing legion of new Only the Best and The People Person consumers who are learning about everything Javarama has to offer them at home and especially in the workplace.